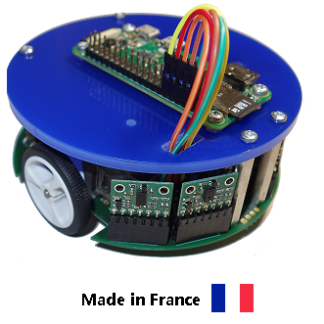 Open source mobile robot based on a Raspberry Pi Zero W.
A robot designed and manufactured by the French company Mace Robotics. 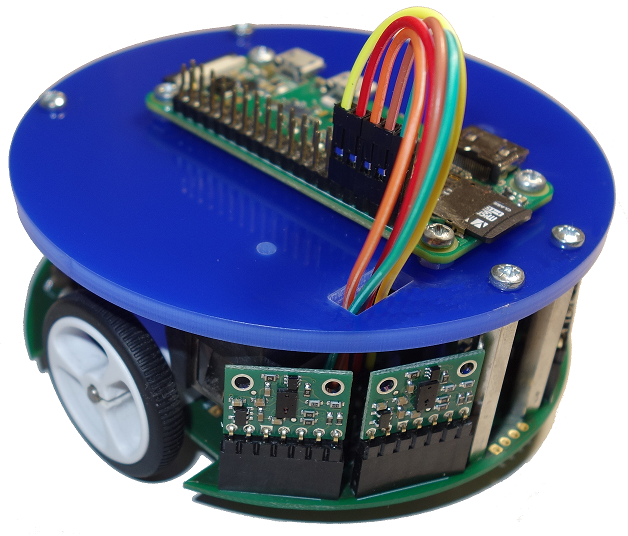 A Raspberry Pi robot ! 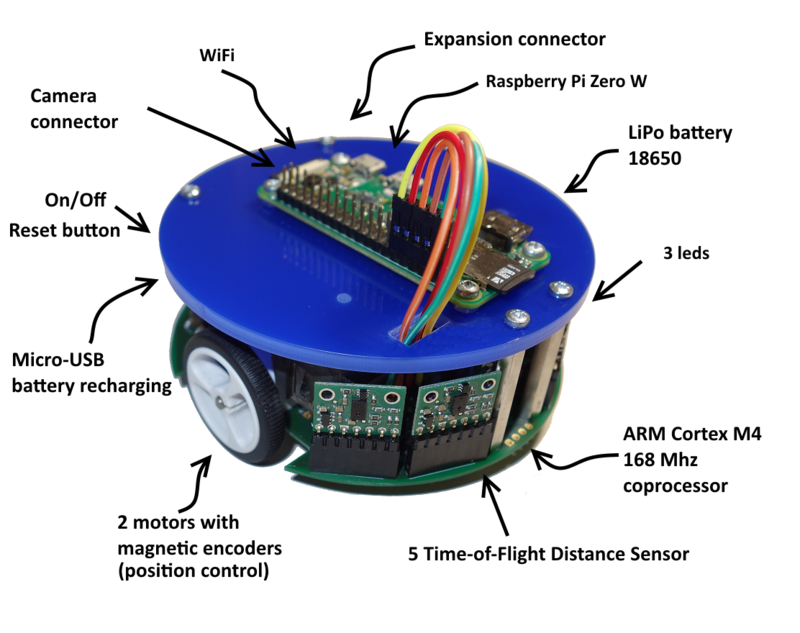 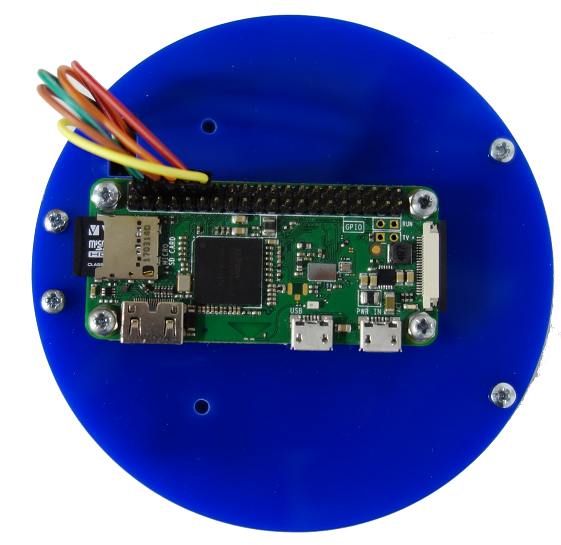 The MRPiZ robot is a programmable mobile robot based on a Raspberry Pi Zero-W board. The MRPiZ robot has been designed for education, makers and research. 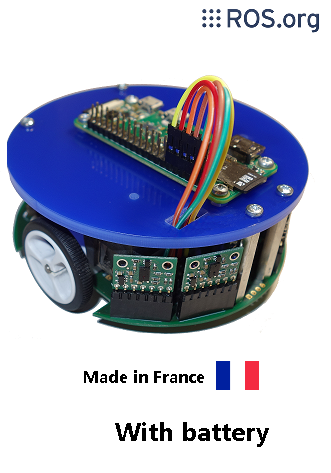 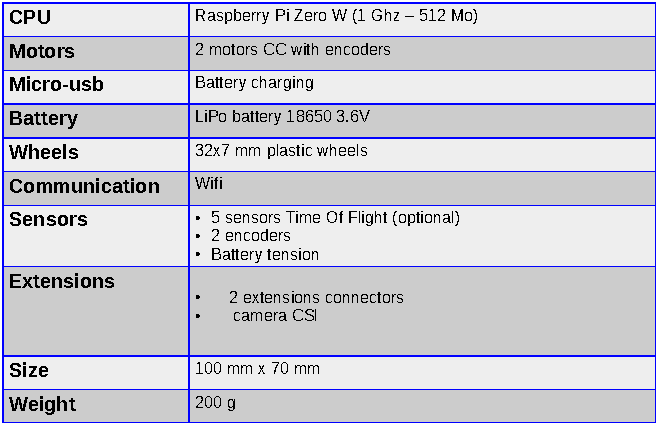 The robot MRPiZ is equipped with 5 connectors in front allowing to receive 5 sensors of distance ( VL6180X).